Abstract: Speech recognition in difficult listening conditions occurs with increased brain activity throughout cingulo-opercular regions of the frontal cortex. This activity appears to reflect an adaptive control system that optimizes performance when speech recognition is difficult for listeners, but still possible. These findings and the broader decision sciences literature suggest that listeners use and benefit from adaptive control when there is expected value, as determined by the reward from understanding speech relative to the cost of experiencing listening effort. Understanding a listener’s expected value from communication, coupled with their perceptual abilities, has the potential to guide clinical care. Bio: Mark Eckert, Ph.D. is a Professor of Otolaryngology – Head and Neck Surgery at the Medical University of South Carolina and a Neuroscientist with more than 20 years of research experience studying language impairments, which has included a primary focus on age-related declines in hearing and speech recognition. 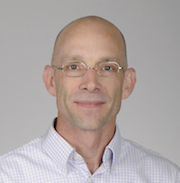 Complementing this research is his development of novel analysis methods and software for data sharing that have been widely adopted by the neuroimaging community. www.eckertlab.org.